Background: Representatives from Lowe's corporate headquarters asked us to examine the smart home retail market and determine how Lowe's could become the market leader in that space. However, they recognized that it might be difficult to convince people to choose Lowe’s for their smart home tech in a market that is already highly saturated with purchase options. The Ask: Make Lowe's the leader in smart home technology retail sales. Research: The market for smart home technology is saturated. Major players range from Amazon to Wal-Mart to Best Buy and beyond. Everyone wants a piece of the smart home business, because it's viewed as the way of the future. In twenty years, perhaps even ten, the products labeled as smart home technology today will likely be considered standard in every house, much like the now standard back up camera and satellite radio were to cars a decade ago. Smart home tech includes everything from a smart light bulb, to a smart TV, to an Echo/GoogleHome, to a smart lock, to a $6,000 refrigerator that lets you play games on the LED touchscreen. Much of the smart tech market today is seen as frivolous, an additional layer of "cool" to one's home. 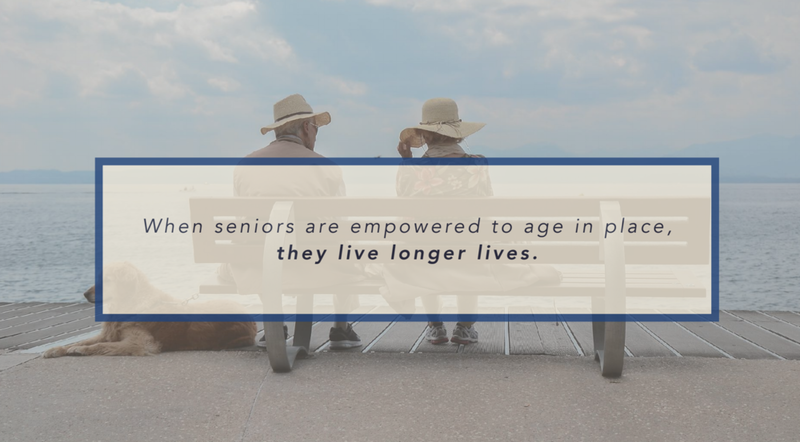 However, for aging seniors who are determined to live independently, or "age in place," and their children who worry about their safety living alone, a lot of technology available today has underlying benefits. For instance, while an oven that turns itself off automatically might seem like a nice perk for those of us who can occasionally be forgetful, it could be a lifesaver for a person living with dementia. Or, a motion detector which could be used for home security, could also be adapted to recognize a lack of movement for an elderly person living alone. Even smart assistant technology could be used as an emergency beacon if an aging person falls or needs medical attention. Insight: Smart home technology can assist aging loved ones to live independent lives in a safer and more empowered manner, leading to more visits and less check ups. Opportunity: There is a huge, untapped market that might traditionally be considered “late adopters,” but who could benefit uniquely and exponentially from smart home technology. They might not be current purchasers, meaning that the first retail outlet to truly reach out to them could easily funnel them into the purchasing stream. However, because this target tends to be afraid of technology, or at least less willing to try it, the approach to targeting and communicating them needs to be very different. It needs to be softer and more understandable, which means alleviating the fear evoked by the word "smart." Target: Care Pairs. Baby boomers and their aging senior parents, ~123 million Americans. "HOMES" by Lowe's Logo. The HOMES by Lowe's line will be a curated collection of smart home products whose intuitive design and multi-faceted capabilities will appeal to the Care Pair audience, and empower them, rather than intimidate them. The Brand Essence. 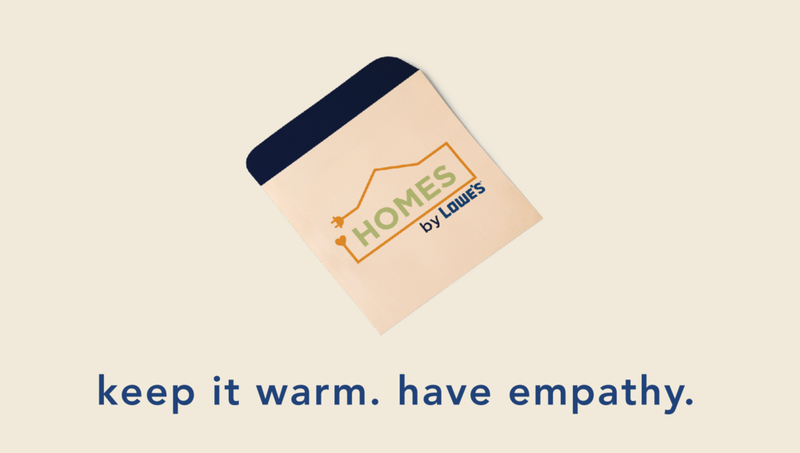 Lowe's is simplifying smart home technology for the Care Pair audience by removing the word "smart," and instead focusing on the empowerment and adaptability that the technology offers seniors who wish to age in place, without placing a burden on their children. The In-Store Experience: Since the target consumer will likely be coming in-store, we will create a showroom, or rather "show-home," that will communicate how intuitive and helpful smart home products can be in every home. Rather than being a cold and technology focused section of the store, the show-home will embody a warmth and feel as though the customer is in their own home. 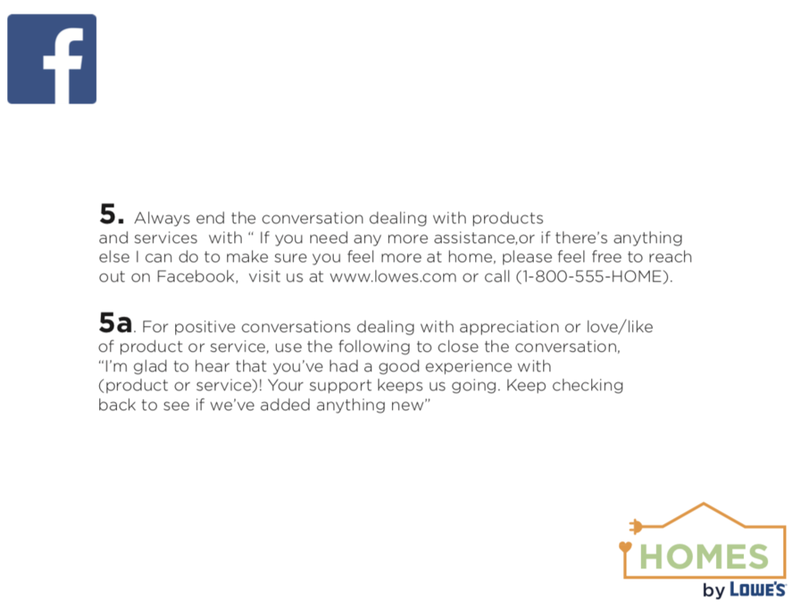 Customer service staff will be on hand to explain how the different HOMES by Lowe's products work seamlessly together to allow customers to do more in their home.